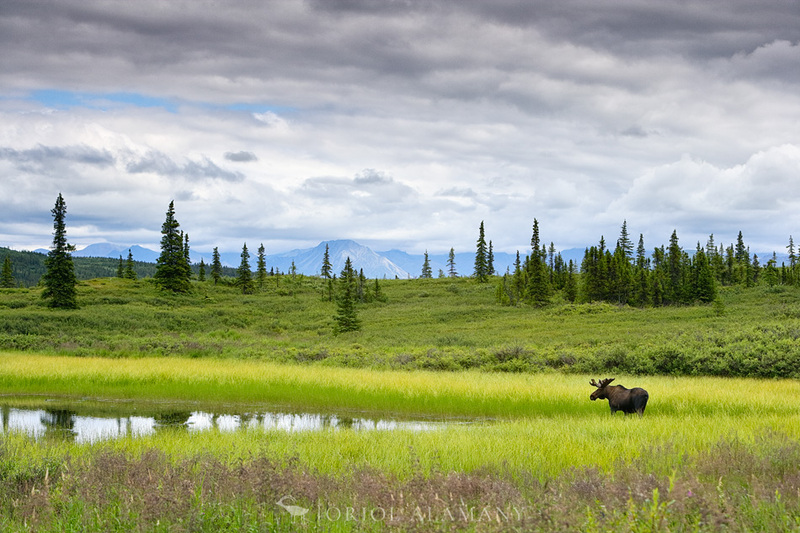 Moose (Alces alces) male eating on a tundra pool in a cloudy day, near Wonder lake, Denali National Park, Alaska. My partner and me were camping in Wonder lake for some days and every afternoon this male came to eat near that pool. We seated near, surrounded by billions of mosquitos, and enjoy the views. For some years I have been working on a personal photographic project called “Wild Clouds”, about the aesthetic relationship of the wildlife with the clouds in the landscape. This is one of the images of the exhibition. Location: Denali National Park, Alaska.